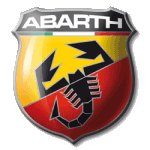 Abarth is an Italian racing and road car developer. Founded by Carlo Abarth in 1949, it is now the performance division and brand of FIAT cars. The shield and scorpion badge is famous across the world as a symbol of high performance FIAT cars. You will find some great Abarth lease deals on the 595, 695 and 124 Spider at Little Green Car Leasing.